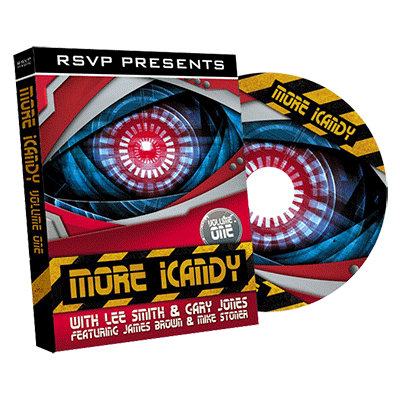 Starring Lee Smith and Gary Jones, "More iCandy also stars some amazing magicians from around the world including James Brown, Arnel Renegado, Mike Stoner and Brendan Rodregez. Arrow - Gary Jones' superb new phone trick that you WILL USE! You can use any phone that has a video camera facility and it's great! A special 'app' finds a selected card in an amazing and amusing way and that's all we're going to say! Brilliant thinking. The Biddle Trick - Join Lee Smith as he takes you around his favourite routine that has been a No.1 feature for him for many years. Simplified and direct. 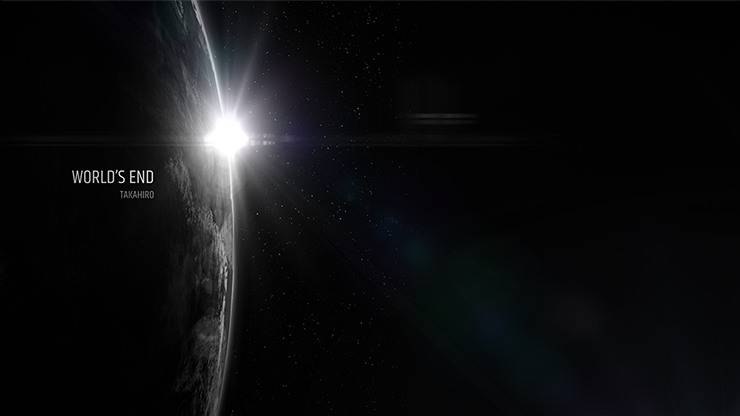 Dr. Daley's Aces - Gary Jones' twist on the classic effect that turns this into a feature piece. Both amazing and funny too! Slick - James Brown's twist on the classic 'Oil and Water' plot. Don't be put off. This is fast, punchy and snappy, with three killer phases ending with a visible change in the spectators hands and finally with all the cards morphing in their hands leaving you completely clean. Truly brilliant thinking magic that packs a wallop! Kick Right Back Plus - An updated version of Lee Smith's routine that now gives you a stronger kicker finish. Rover - Mike Stoner's routine that everyone is talking about! A card is freely selected and placed back fairly in the deck. A toy car now finds the selection in an amazing and amusing way! We know that this is going to be a feature in most people's performances from now on! Just watch the trailer to see what we mean! Absolutely brilliant stuff that can be done using a sealed, brand new deck of cards. Predicto Plus - Lee Smith's take on the classic odd backed card plot. Again from Lee's working set, this you will use all the time! Two card Transpo - Gary's take on the transposition plot. 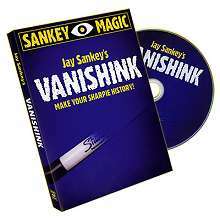 Multiple phases that get stunned reactions from your audience Join Lee and Gary as they explain in detail the moves used in the tricks featured on this DVD. These are moves and sleights that they both use in their everyday work.